Decisions, decisions. Whether you'll be attending your first or 36th Esri User Conference (Esri UC), you will probably face a dizzying number of decisions about how and where to spend your time at the largest GIS gathering in the world. 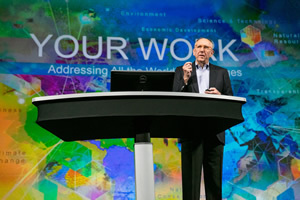 The Esri UC, held in San Diego, California, starts at 8:30 a.m. on Monday, July 10, and ends at noon on Friday, July 14. That leaves 99½ hours for activities (counting sleep and meals). 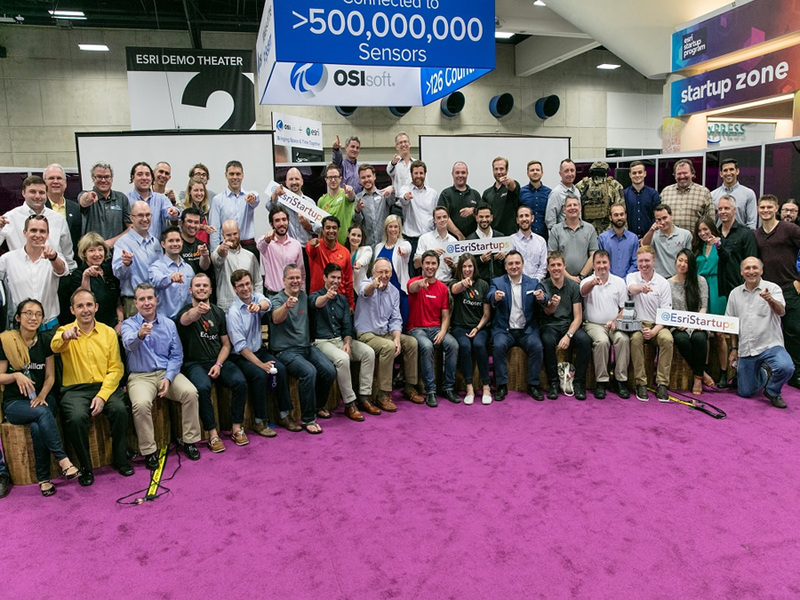 There are hundreds of technical and moderated sessions on the agenda plus cool technology to check out in the Esri Showcase and GIS Solutions EXPO. 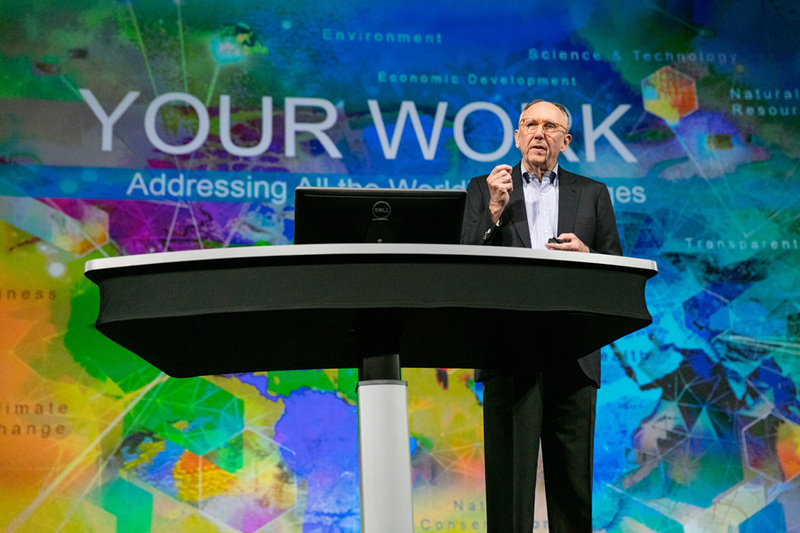 Listen to Esri president Jack Dangermond talk about the Science of Where. But there are other worthy pursuits, too. You can take educational training, network with other GIS professionals, test your geospatial knowledge, and study and admire the maps of others. 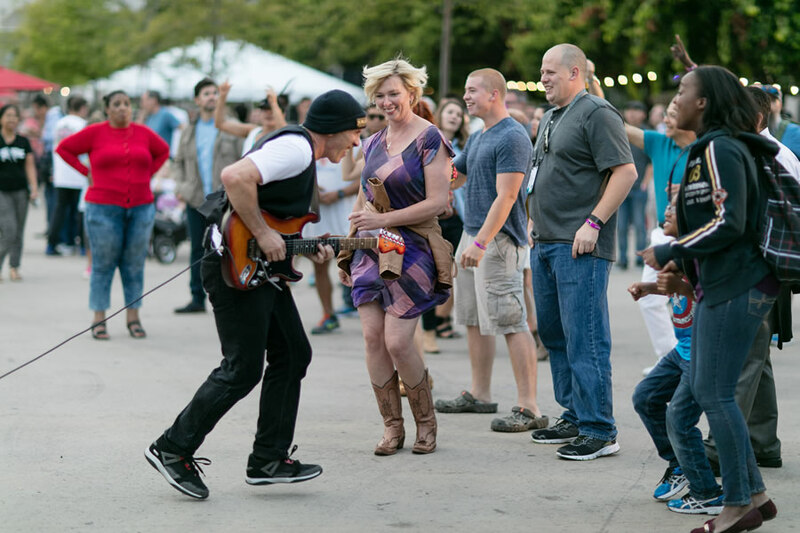 To help you navigate this wide array of choices, check out our list of Top 25 Things to Experience When You Visit the Esri User Conference. You can also view this information in an Esri Story Map Tour app. 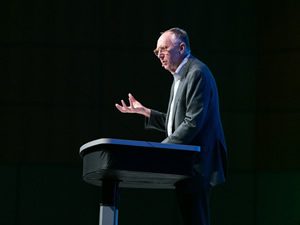 Esri president Jack Dangermond brings The Science of Where to life at the Plenary Session. He will explain the meaning behind the conference theme, Applying The Science of Where, and will show examples of the inspiring work you do with GIS. The keynote speaker and ArcGIS technology demonstrations will wow you, too. 8:30 a.m. to 3:30 p.m., Monday, July 10, Halls F, G, and H, San Diego Convention Center (SDCC). Is this your first Esri UC? At the New Attendee Orientation, Esri staff will give you the scoop on conference activities and show you how to download the Esri UC app and build your schedule of sessions. Bring your questions. 4:00 p.m. to 5:30 p.m., Sunday, July 9, Ballroom 20 A, SDCC. YPN will throw an evening pool party. Just starting your career? Kick off Esri UC week at the Esri Young Professionals Network (YPN) Welcome Social. Get tips on which tech sessions to attend, enjoy appetizers, and make new friends. 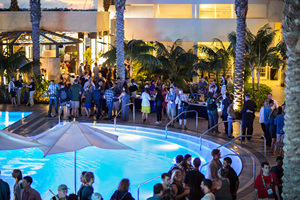 Welcome Social, 5:00 p.m. to 7:00 p.m., Sunday, July 9, Marriott Marquis San Diego Marina. 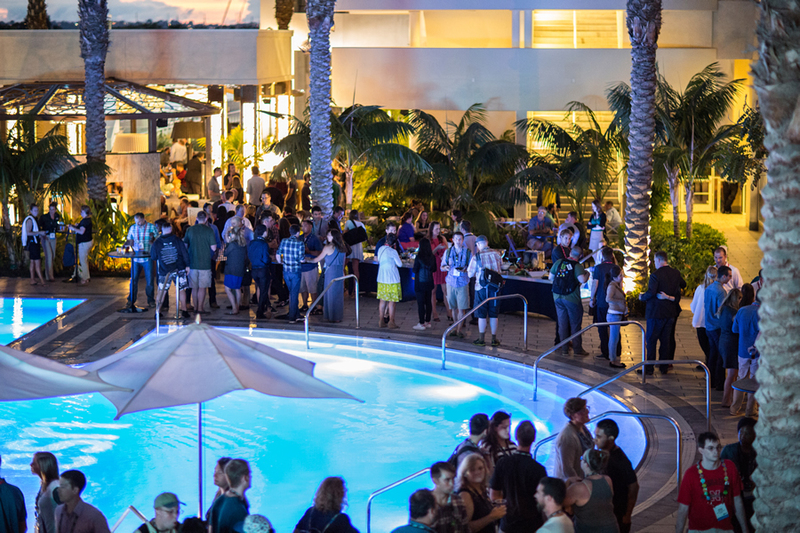 Esri also will host a YPN Pool Party, 6:00 p.m. to 9:00 p.m., Wednesday, July 12, Hilton San Diego Bayfront. Want to learn about ArcGIS by using story-driven, problem-based scenarios like those you face on the job? Take a lesson or ask a question at the Learn ArcGIS booth, where you will find everything you want to know about this online resource packed with lessons, blogs, story maps, and videos. 8:00 a.m. to 6:00 p.m., Monday through Wednesday, July 10 through 12, and 8:00 a.m. to 2:00 p.m., Thursday, July 13; Grand Lobby (across from the Esri bookstore), SDCC. The maps in the Map Gallery are always interesting and thought provoking. See mapping's brightest stars at the Map Gallery Opening and Evening Reception. Meet the map authors, mingle with others who use GIS, and munch on tasty hors d'oeuvres. Don't miss the Special Displays, which tell memorable stories about how GIS is helping to improve the world. 3:30 p.m. to 7:00 p.m., Monday, July 10, Sails Pavilion, SDCC. Chat with representatives from organizations that use GIS to solve conservation, humanitarian, and sustainable development issues around the world. 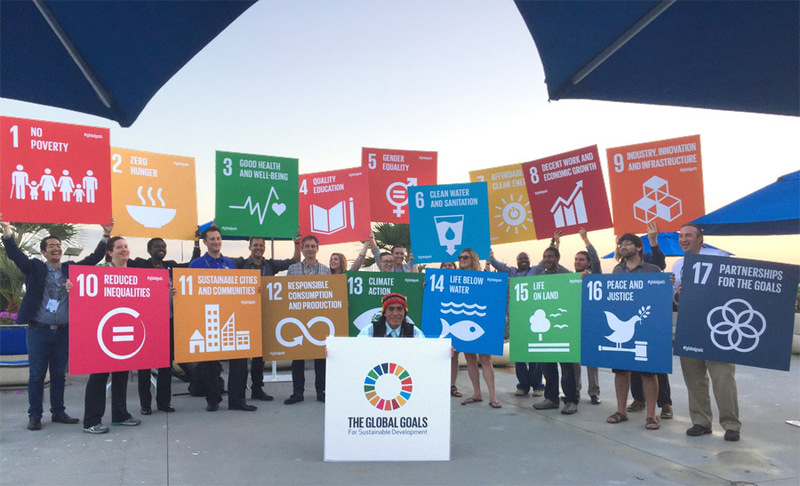 The Sustainable World Community showcase will feature a demonstration theater, where organizations will present their work. Follow the event on Twitter using the hashtag #EsriSWC. 9:00 a.m. to 6:00 p.m. Tuesday, July 11, and Wednesday, July 12, and 9:00 a.m. to 1:30 p.m. Thursday, July 13, Hall A, SDCC. Stop by the Sustainable World Community showcase and learn how GIS is being used to fight poverty and protect the planet. They're fast talkers for a good reason. They only have five minutes flat to describe a project they're passionate about that uses GIS. So, cheer on the speakers at the Lightning Talks. They have ideas worth listening to. 4:30 p.m. to 6:00 p.m., Monday, July 10, Ballroom 20 A, SDCC. Want to see examples of inventive mobile, web, and desktop apps and multimedia maps? Stop by the User Software Applications Fair at its new venue, the Developer Island. The map and app developers will be on hand to answer questions about their projects. Winners will be honored at the Closing Session. 9:00 a.m.to 6:00 p.m., Tuesday, July 11, and Wednesday, July 12, and 9:00 a.m. to 1:30 p.m., Thursday, July 13, Hall B, SDCC. Esri staff will give a series of presentations about the Living Atlas of the World. For the first time, Esri will host a demo theater devoted entirely to the Living Atlas of the World. Presenters will show you how to access and use content—such as maps, apps, layers, and scenes—and contribute it to the online atlas. Staff will also help you add Living Atlas content to your maps or other projects. 9:00 a.m. to 6:00 p.m., Tuesday and Wednesday, July 11 and 12, and 9:00 a.m. to 1:30 p.m., Thursday, July 13, Hall C, SDCC. Interested in launching a community engagement hub like the Los Angeles GeoHub? Meet at the ArcGIS Hub Island, where Esri staff will show you how to create one that will help you tackle important policy initiatives and measure outcomes by bringing together people, processes, data, and technology. 9:00 a.m. to 6:00 p.m., Tuesday and Wednesday, July 11 and 12, and 9:00 a.m. to 1:30 p.m., Thursday, July 13 (next to the Smart Government Starts Here Island), Hall B, SDCC. Homework time. Fortunately, the Hands-On Learning Lab makes learning ArcGIS fun. The 24 new lessons—from Getting Started with ArcGIS Pro to Editing GIS Data—combine educational videos with self-paced exercises. Esri brings the computers. You bring your know-how. The lab is a hot ticket (there were 552 attendees in 2016), so come early, as seating is limited. Esri instructors will be available to answer questions. 9:00 a.m. to 6:00 p.m., Tuesday and Wednesday, July 11 and 12, and 9:00 a.m. to 1:30 p.m., Thursday, July 13, Hall B, SDCC. GeoNet is Esri's online community. At GeoNet, users share ideas, ask and get answers to technical questions, learn about events, and build relationships. Get instructions on how to join GeoNet and tips on how to use this valuable resource. 10:15 a.m. to 11:30 a.m., Wednesday, July 12, Marriott Marquis San Diego Marina, Salon F.
How can GIS help you track and study chronic disease, manage aging infrastructure, or plan smart communities? 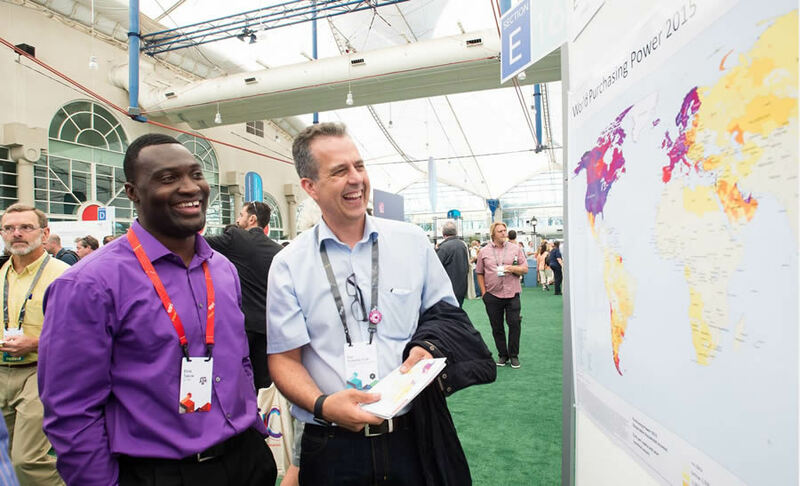 At the Envisioning Center, Esri staff will walk you through how GIS is used in real workflows for fields such as planning, retail sales, health, utilities, and telecommunications. You will leave with ideas you can implement within the first week of being back home. 9:00 a.m. to 6:00 p.m., Tuesday and Wednesday, July 11 and 12, and 9:00 a.m. to 1:30 p.m., Thursday, July 13, Hall B, SDCC. Fare such as sandwiches and fries will be served by the food trucks parked near the San Diego Convention Center. Want to show your children how you work with maps? Take them to the Esri GIS Kids Fair, where they will get to make maps in a computer lab and solve geography puzzles and quizzes. Children aged 5 through 15 are welcome when accompanied by a parent or guardian. 9:00 a.m. to 5:00 p.m., Tuesday, July 11; 9:00 a.m. to 4:00 p.m., Wednesday, July 12; and 9:00 a.m. to 2:00 p.m., Thursday, July 13, Salon D, Marriott Marquis San Diego Marina. Starved after wrapping up a morning tech session? Head to the gourmet food trucks, which will serve delectable dishes such as lobster grilled cheese sandwiches, bratwurst, burritos, chorizo burgers, wings, fried mac 'n' cheese, bacon-wrapped hot dogs, and fried Twinkies. 11:30 a.m. to 1:30 p.m., Sunday, July 9, and Tuesday through Thursday, July 11 through 13; and noon to 2:00 p.m., Monday, July 10. Line up on the lawn between the Hilton San Diego Bayfront and the SDCC. Drop by the Startup Zone to learn how emerging businesses are using GIS. 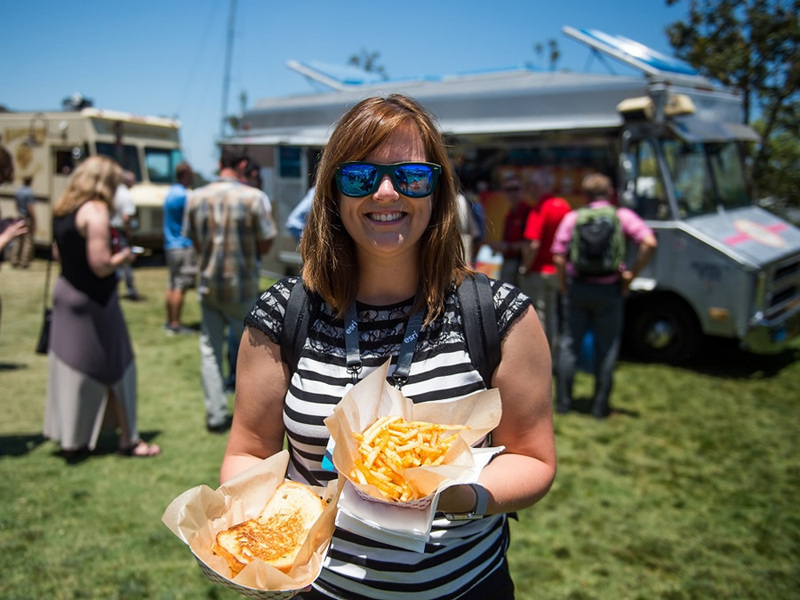 Make a beeline for Esri's hive of innovative emerging partners in the Esri Startup Zone. Learn about the technology they've developed, watch demos, and discuss potential partnerships. These companies' interests focus on areas such as mobile apps, the Internet of Things (IoT), real-time analytics, and augmented reality. 9:00 a.m. to 6:00 p.m., Tuesday and Wednesday, July 11 and 12, and 9:00 a.m. to 1:30 p.m., Thursday, July 13, Hall A, SDCC. Need a gift for a friend or relative or a souvenir for yourself from the Esri UC? You will find T-shirts with logos like Mapman and Mapgirl as well as maps, cups, mouse pads, magnets, GIS books, key rings, stress balls, and more, in the Esri Store. Noon to 6:00 p.m., Sunday, July 9; 8:00 to 6:00 p.m., Monday through Wednesday, July 10 through 12; 8:00 a.m. to 5:00 p.m., Thursday, July 13, in Grand Lobby D; and 8:00 a.m. to noon, Friday, July 14, Ballroom 20, SDCC. Everyone will have a ball at Family Night. Doing business gives way to fun on Family Night. 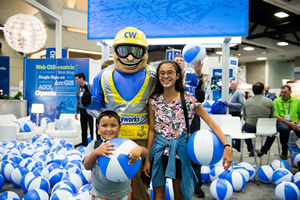 Esri and its partners, along with vendors, offer kid-friendly maps, games, toys, and entertainment. Your children and other family members will also get the opportunity to see, up close, the geospatial apps, drones, and other technologies you work with on the job. 4:00 p.m. to 6:00 p.m., Wednesday, July 12, Halls A–D, SDCC. Banish stress and flex your body during yoga. The teacher will lead you through your moves, from the downward-facing dog to the warrior pose. Yoga mats are provided. 6:30 a.m. to 7:30 a.m., Tuesday, July 11, and Thursday, July 13. Meet on the Promenade Plaza near the Hilton San Diego Bayfront and the Embarcadero. Register. Sign up for the 2017 5K Fun Run/Walk, and see if you can beat the times of Patrick Smyth and Kaylee Franks, last year's top male and female runners. Less competitive in nature? Stroll the course and take in the beauty of San Diego's waterfront and Embarcadero Marina Park North and South. The race begins promptly at 6:30 a.m. on Wednesday, July 12, at Promenade Plaza, Hilton San Diego Bayfront. Get your questions answered at the UC Information Desk. GIS managers, along with technology and business strategists, are invited to the GIS Managers' Open Summit. Hot topics will include return on investment, data management, and creating business efficiencies. The guest speakers will include Trisha Brush and Louis Hill from Planning and Development Services in Kenton County, Kentucky, and Tim Nolan from Collin County, Texas. 8:00 a.m. to 3:00 p.m., Wednesday, July 12, Ballroom 20 A, SDCC. 22. How May We Help You? Navigate your way through the Esri UC with help from the UC Information Desk staff. 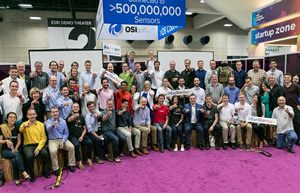 The friendly team will help you find who or what you are looking for—from an Esri staff member or an industry neighborhood to a product island or a partner booth. 9:00 a.m. to 6:00 p.m., Tuesday and Wednesday, July 11 and 12, and 9:00 a.m. to 1:30 p.m., Thursday, July 13, Hall B, SDCC. A guitarist entertains the crowd at Balboa Park. The aroma of delicious food and the beat of music will fill the air at the Thursday Night Party. Play games like foosball, watch jugglers and other performers, and dance to the sounds of the bands in Balboa Park. Esri-provided buses outside the SDCC will whisk you to the park and back again. 5:30 p.m. to 10:00 p.m., Thursday, July 13. Esri Story Maps apps are all the rage. Find out why, and see how you can put these multimedia apps to good use in your organization at the session, Story Maps: How to Tell Your Story with Esri Story Maps. Esri's top story map experts will teach you basic storytelling principles and show you how to build, edit, and publish your Story Maps app. 3:15 p.m. to 4:30 p.m., Wednesday, July 12, Ballroom 6 E, and 9:00 a.m. to 10:15 a.m., Friday, July 14, Ballroom 6 F, SDCC. Sometimes the best is last. 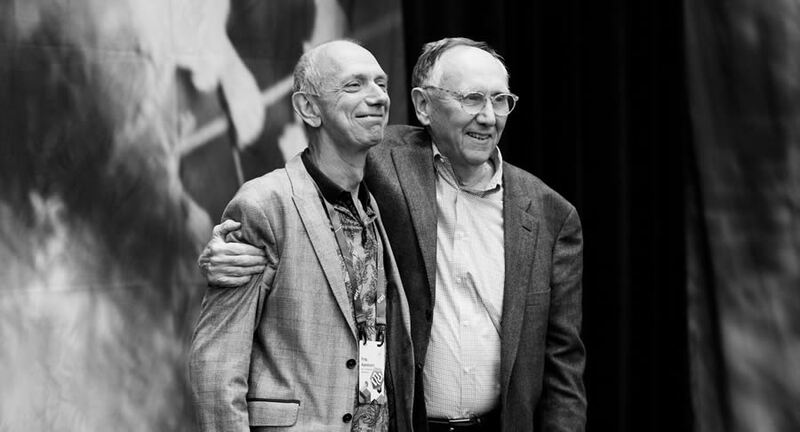 Esri president Jack Dangermond will summarize his Esri UC message during the Closing Session. Join Jack again at the Closing Session and Awards as he reiterates his key messages about ArcGIS and answers your questions. The Map Gallery competition and User Software Applications Fair winners also will be announced. 10:30 a.m. to noon, Friday, July 14, Ballroom 20 B, C, and D, SDCC.